The Autism Specialist Clinic was created in response to the need for an on site team based approach for children and adolescents with autism. It encompasses Talking in Steps Speech Pathology, Mindways Psychological Service and Occupational Therapy. To provide high quality evidence based assessment and therapy for children and adolescents with autism. To create a team approach tailored to the needs of the client. To continually update the clinic with the latest resources to assist our clients. To meet regularly with team members to discuss goals and strategies to best meet the needs of our clients. 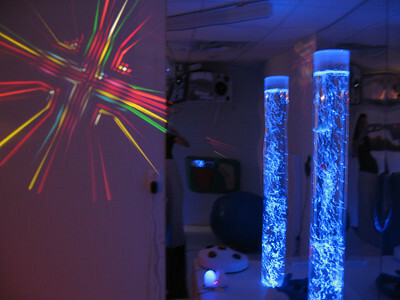 A team of qualified speech pathologists trained in PEC and sensory issues. Where children can enjoy playing around with various toys and in different light settings so we can observe child behaviour.